Rice Lake, WI -- Today, Allison “Ali” Holzman announced her candidacy to represent Wisconsin’s 75th Assembly District as a Democrat. 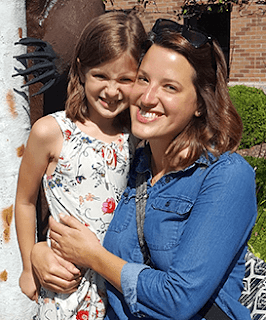 Holzman, 31, manages the regional office of the Wisconsin Education Association Council in Rice Lake, and raises cattle, sheep, goats, and chickens with her family on a small farm outside Cumberland. Her daughter, Olivia, will finish 2nd grade at Cumberland Elementary School this week. “People who work hard ought to be able to get ahead, but somehow it just doesn’t seem to be working out that way in our part of the state. I look forward to talking with voters of the 75th District over the next five months about how we can do better,” Holzman concluded. The 75th District includes all of Barron County, southern Washburn County, and parts of Burnett, Dunn, Polk, and St. Croix Counties. A map of the district can be viewed here.